The one-hour bus ride from Mexico City turned into three but at least buskers kept us company with their music. Traffic sped, slowed, and crawled to an almost stop. One accident ahead was all it took to throw everything off. 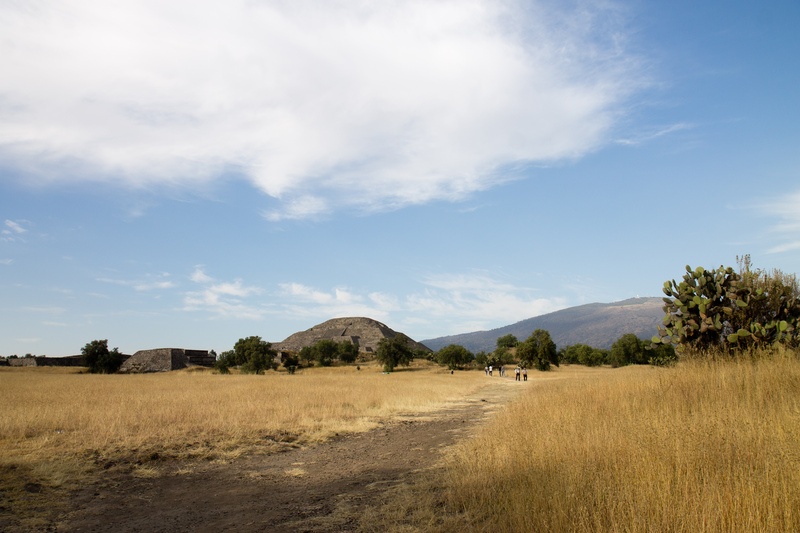 At one point, Teotihuacán was the largest city in the Western hemisphere, and one of the largest in the world, home to some 100,000 people, perhaps more. Moreover, though we don’t know exactly who built it, we do know that multiple ethnicities lived there. Its grandiosity is all the more staggering when you consider it was constructed roughly 2,000 years ago. Humans have really been very capable for a very long time. What else have we been? 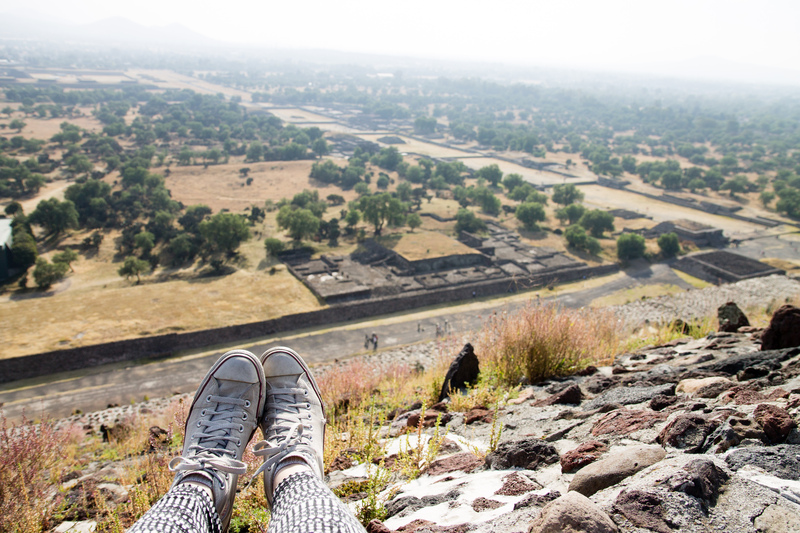 Teotihuacán takes time to wander. We walked all over the city, and it was a city; from the Pyramid of the Moon, the Avenue of the Dead stretches out into the haze that obscures its end. We walked the paths lined with tall brush, approaching the Temple of the Sun. Jaguar growls repeatedly pierced the rustling in the grass as vendors showed off their wares. Teotihuacános had a panther god and today we still appreciate its representation: panthers biting skulls, intricately painted faces. Draw the threat close and perhaps you’ll know enough to survive. 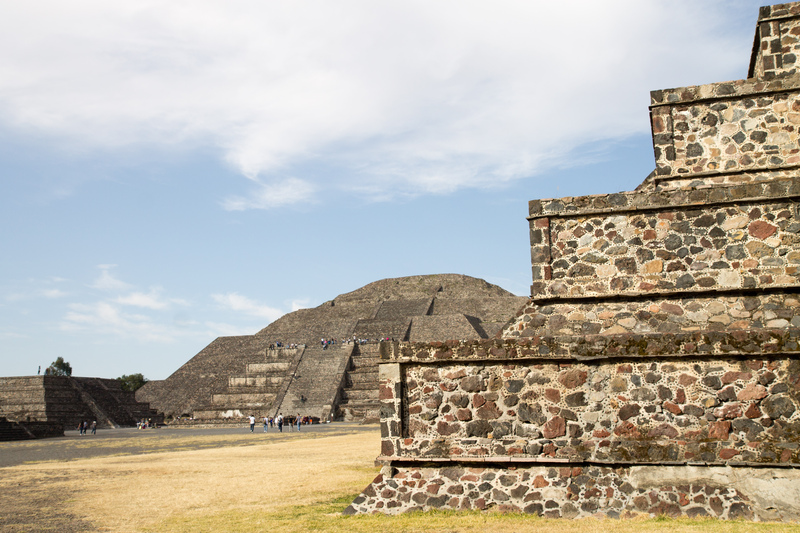 The Pyramid of the Sun looms high. If people used to be shorter, the stairs would have been all the tougher to climb. And yet, we clambered up the 248 steps, resilient grasses poking out between the rocks, to reach the highest height we could and see out over it all. The grandiosity trembles as you look down from whence you came. 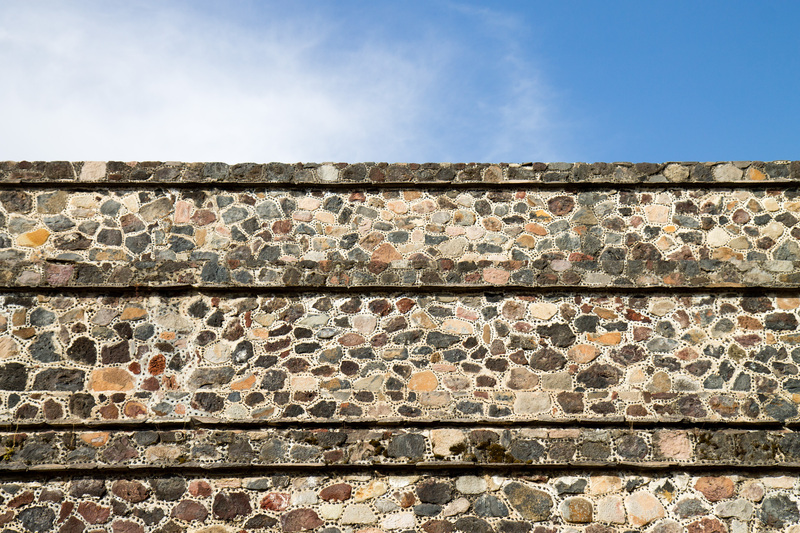 Archeologists and historians aren’t exactly sure why Teotihuacán collapsed. There was likely a fire, but why? One thesis posits that there was an internal uprising of sorts against the elite, who did, after all, ensconce themselves in the nicest buildings, displaying their status and likely hoarding the gods’ favor to themselves. This may have been complemented by environmental disturbance from droughts and volcanic eruptions, which set the stage by exacerbating class divides and grievances. At any rate, the city’s large population plummeted and it was abandoned during the seventh century. This rise and collapse forms a pattern; other civilizations in the Americas, such as the Maya, experienced booms and busts even prior to colonization. We like to glorify those who came before us, whether they are of our own culture are not. People used to be in harmony with nature, we proclaim, and while we certainly aren’t now, it seems many prior civilizations were only bound by their more limited technology. Even when humans first stepped foot in the Americas, or in Australia and Oceania, we caused destruction, sending nearly all megafauna to extinction. And though over time many societies collapsed, or were conquered by others, humans as a whole proliferated, enlarging our footprint physically, atmospherically, and digitally. All the while we’ve warred, we’ve set body-altering beauty standards, we’ve manufactured societal divides based on gender, class, ethnicity, and basically anything we can figure out. There are exceptions to a degree, of course, but that means there is an overall rule, a pattern of human behavior. To idealize earlier civilizations and cultures is thus, in a way, to deny them their humanity. 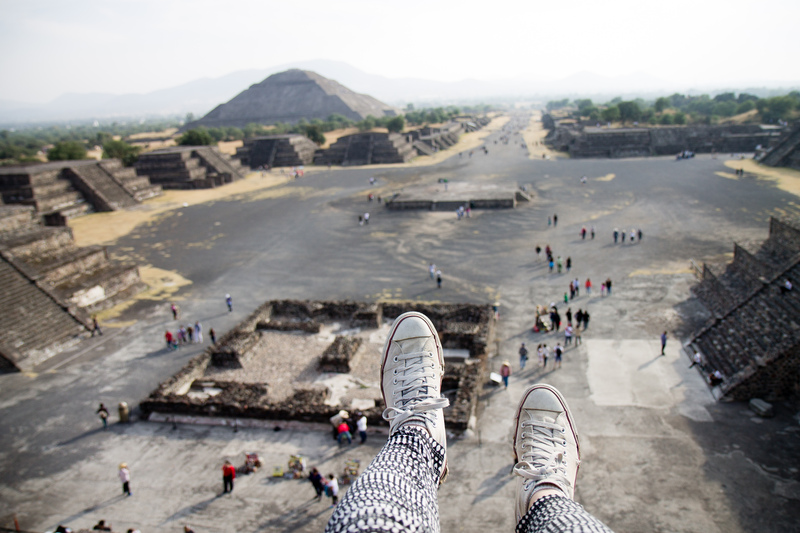 It is beautiful, the view from the Pyramid of the Moon. 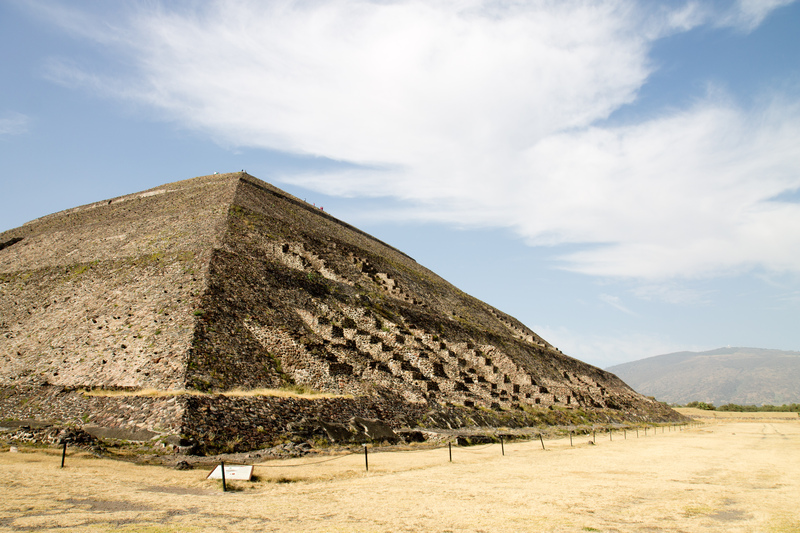 The Pyramid of the Sun looms to one side of you and the Avenue of the Dead stretches before you. There is beauty beside us and yet a questionable unknown ahead. And isn’t that how we are? Isn’t that how we’ve always been? That night, back in Mexico City, we wandered the streets until we found a spot to have dinner. From our second floor perch, we watched the passersby as we ate our tostadas. Trickling by: a mass of humanity, varied, not knowing each other every one, coexisting, rising, falling, prospering, struggling. Here we are. Love the photos with the shoes. Dangling over the edge of the world, the sun moon death all… Great reflections, friend.